“Underwhelming,” tweeted Santosh Harish of the Centre for Policy Research, a think tank based in New Delhi. The reactions of most experts to the Indian government’s National Clean Air Programme (NCAP) were similar. Environment minister Harsh Vardhan launched India’s much-awaited NCAP. “Collaborative and participatory approach involving relevant central ministries, state governments, local bodies and other stakeholders with focus on all sources of pollution forms the crux of the programme,” he said. That means there is no new legal power to tackle the problem that has led to 14 Indian cities being among the 15 worst polluted in the world. “The CPCB (Central Pollution Control Board) has the legal powers already,” defended C.K. Mishra, the environment secretary. The NCAP has a budget of INR 3 billion (USD 45 million) for the first two years. The crux of the programme is a “tentative national level target of 20%–30% reduction of PM2.5 and PM10 concentration by 2024,” taking 2017 as the base year. There will be specific action plans for 102 cities that have consistently failed to meet the air quality standards set out by the CPCB. PM2.5 and PM10 are dust and soot particles of 2.5 and 10 microns diameter, respectively. They get into human lungs; the smaller ones get into the bloodstream as well. 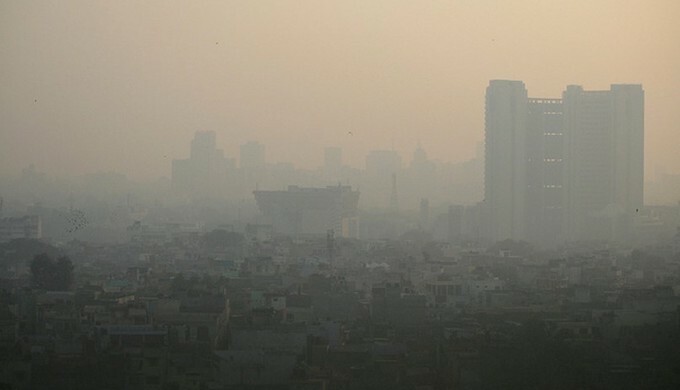 As early as 2010, The Global Burden of Disease Study had found air pollution to be the fifth largest killer in India. Apart from PM (particulate matter), other major pollutants are sulphur dioxide, carbon monoxide, the oxides of nitrogen and ozone. In recent years, there has been a plethora of studies on health impact of air pollution. The World Health Organisation reported that in India, an estimated 1.5 million people died from the effects of air pollution in 2012. Air pollution is a major risk factor for heart disease, stroke, chronic obstructive pulmonary disease and lung cancer, and increases the risks for acute respiratory infections and exacerbates asthma. About 98% of cities in low- and middle-income countries with more than 100,000 inhabitants do not meet norms set out in the WHO air quality guidelines. What is surprising is the next sentence, “The reported perplexing statistics in various international reports, drawing correlation of air pollution with various aggravated figures on health, without validation on Indian population further complicates the issues by creating a flawed public perception.” The two doctors seem to be negating their peers and their own experiences. The NCAP does say it will carry out two studies over the next year on the health impact of air pollution. Most observers see this as too little too late. Still, the government clearly finds it difficult to deny how critical the situation is. Amitabh Kant, CEO of NITI Aayog, the federal government’s policy think tank, said at the launch that air pollution was one of the most alarming challenges of urbanisation. “Today cities occupy just 3% of the land, but contribute to 82% of GDP and (are) responsible for 78% of carbon dioxide emissions,” he pointed out. A growing body of research also suggests that although pollution affects the population in general, children are more vulnerable to its toxic effects. Diarrhoea and respiratory infections are the number one cause for child deaths in India, says the United Nations Children’s Fund. A major problem in tackling air pollution in India is shortage of monitoring stations. The NCAP says over the next two years, it will increase the number from 691 to 1,000 in cities and will set up 50 in villages. Again, this is something most observers see as lack of ambition. The NCAP talks repeatedly about collaboration between central ministries, state and local governments and other initiatives such as the National Action Plan on Climate Change. It aims to use the Smart Cities programme to launch the NCAP in the 43 smart cities in the list of the 102 “non-attainment” cities.